Plymouth is a community of 1,600 people striving to be spiritual, loving, relevant and transforming. We are joyfully committed to intellectual integrity, the arts, diversity, community and justice. All families are affirmed at Plymouth; we have a long history of welcoming LGBTQ people in this open and affirming congregation, including our ministers. The church is located on the southern edge of downtown Minneapolis, between LaSalle and Nicollet, and Groveland and Franklin Avenues. Directions and parking information available here. We follow the Congregational Way, which at the most basic level means there is no outside or higher authority that can impose any idea, form or worship, governance system or policy on a congregation. Still, we listen to important voices – including other congregational churches, other nearby faith communities, our neighborhood organizations and others to whom we feel accountable. 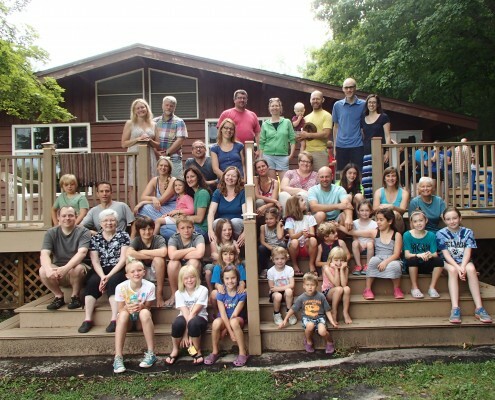 As an independent Congregational Church, Plymouth’s congregation makes the major decisions, guided by a robust governance of lay leaders: Deacons, Leadership Council and Boards. Plymouth’s Fine Arts Gallery offers exhibits September–May. Plymouth’s Elaine Marsh Library supports the spiritual journey of members and friends and the core values of Plymouth. The book collection includes current thinking on social justice issues, personal growth and religion, as well as meaningful fiction for children young adult, and adult readers. This is a lending library with over 3,000 books which may be checked out for up to a month. Connect to its online catalogue here. Instructions for using the online catalogue are here. The library is open 8:30 am–12:30 pm Sundays and 6–9 pm Wednesdays during the program year. Freedom from doctrine. We do not assume that we believe the same things about God, but we do share a common faith tradition and core values of openness, inclusivity and diversity. Creeds are testimonies, not tests, of faith. Each generation must make the faith its own. Commitment to social justice. We have a long history of being on the vanguard of social issues, such as opposing slavery in our early days in the United States; being the first among Christian churches to ordain women into ministry; advocating for gay rights, including recognizing gay clergy and gay marriage; and a continued and sustained effort to end systemic oppression of the poor. Worship that is relevant. It is common to hear about current events and difficult issues in our worship services.